RGR | Real Guys Reviews – Average guys sharing our multifaceted interests in the outdoors with average people. RgR videos are strictly nonprofit and for educational purposes only following the Fair Use Doctrine which permits the reproduction of limited copyrighted materials for use in teaching, reviewing, research and literary criticism. 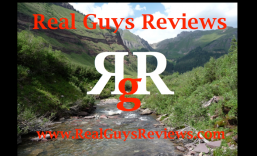 Real Guys Reviews – Average guys sharing our multifaceted interests in the outdoors with average people. RgR videos are strictly nonprofit and for educational purposes only following the Fair Use Doctrine which permits the reproduction of limited copyrighted materials for use in teaching, reviewing, research and literary criticism. This is an on the range review of the Ruger LC9s; the new striker fired version of the hammer fired LC9. A short discussion is also noted of hammer fired (DA/SA) guns and striker fired guns and “my take” on their differences. The LC9 is compared also to the LC9s. This is a video showing how to field strip the Ruger LC9s; the new striker fired LC9 from Ruger. It field strips like the hammer fired LC9 and LC380. This is a video on how to field strip the Taurus PT 145 Millennium Pro; the discontinued in 2013 compact conceal carry .45 caliber by Taurus. This is an on the range review of the Bulgarian Makarov PM (9×18). Check out the RGR video “Makarov PM 9×18 Field Strip”. This is an on the range review of the compact .45 caliber Brazilian made Taurus PT 145 Millennium Pro. This is an on the range video review of the SP101 and its development historically by Ruger. This video shows how to field strip the Ruger SR1911. In this video I am field stripping the Commander – shorter barrel version of the Government SR1911. The SR1911 field strips identically to the Colt 1911.